As with most monetary malfeasance throughout history, the United States government’s drive to monopolize the issuance of money came about during a time of war. In order to fund its military operations during the 1860s, the federal government for the first time in its history issued paper currency which was unbacked by any commodity and was to be accepted at face value as a legal tender. These “greenbacks” quickly declined in value against gold-backed notes, and the government undertook numerous measures to eliminate competition and ensure that individuals would have to accept greenbacks. While some measures, such as banning futures trading in gold, were quickly repealed, other laws that banned the private minting of coinage remain in force today. On the desk in my office I have a sign that says: “Don’t steal â€“ the government hates competition.” Indeed, any power a government arrogates to itself, it is loathe to give back to the people. The history of this nation is filled with examples of increasing and unconstitutional centralization of power by the federal government. 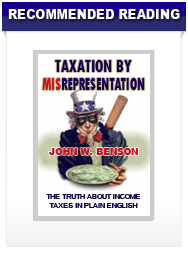 Militias, letters of marque and reprisal, and declarations of war have gone by the wayside; the postal monopoly drove out private competition; and a market-driven system of competing currencies was suppressed by the creation of a government-supported banking cartel that monopolizes the issuance of currency. In order to return to sound money, it is necessary to undo the legal obstacles that forbid other currencies from competing against the dollar. Historically, legal tender laws have been used by governments to force their citizens to accept debased and devalued currency. Gresham’s Law describes this phenomenon, which can be summed up in one phrase: bad money drives out good money. An emperor, a king, or a dictator might mint coins with half an ounce of gold and force merchants, under pain of death, to accept them as though they contained one ounce of gold. Each ounce of the king’s gold could now be minted into two coins instead of one, so the king now had twice as much “money” to spend on building castles and raising armies. As these legally overvalued coins circulated, the coins containing the full ounce of gold would be pulled out of circulation and hoarded. This same phenomenon occurred in the United States in the mid-1960s when the US government began to mint subsidiary coinage out of copper and nickel rather than silver. The copper and nickel coins were legally overvalued, the silver coins undervalued in relation, and silver coins vanished from circulation. Support Sound Money with a TAC Medallion! 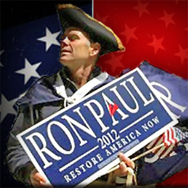 Dr. Ron Paul is a Republican member of Congress from Texas, and a candidate for president in 2012. Visit his website at www.ronpaul2012.com. This entry was posted in News & Politics, Patriot Posts, Ron Paulies and tagged Audit the Fed, banking cartel, Banks and Institutions, central banks, Coinage Act of 1792, Congressman Ron Paul, debasing currency, Economic, economics, End The Fed, Federal government of the United States, Federal Reserve, Federal Reserve Note, Federal Reserve System, federal spending, Financial Services, Free Competition in Currency Act, Gold, gold and silver coins, HR 1098, inflation, John Maynard Keynes, Ron Paul, silver, sound money, Tenth Amendment Center, the dollar, U.S. Dollar, United States, United States House of Representatives, US House of Representatives, US Mint by Patriots and Paulies. Bookmark the permalink. 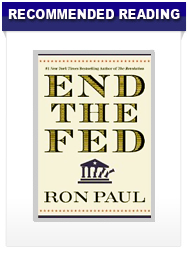 Pingback: Nullify The Private Federal Reserve: Whether Our Non Representative Congress Wants Us To Or Not!